As is my regular custom during these long summer evenings, I had been enjoying hearty dinner, jovial conversation, and fine wine with my officers in the mess. Suddenly, there was a loud clatter of hooves on the cobblestones outside. Moments later a breathless young officer burst in the door—by the look of him, only a few weeks out of the Lützelhard Military Academy—with an urgent dispatch clutched tightly in his hand. He stood smartly to attention and crisply saluted me in the eager way so typical of a newly-minted Leutnant. I put down my glass and took the official dispatch from him. Sure enough, it bore the wax seal of our princely ruler, Maximilian. I wiped some butter from my table-knife onto a napkin, and then slit the envelope open as my officers looked on. It was as I feared: war with Dautenstein might soon be upon us. 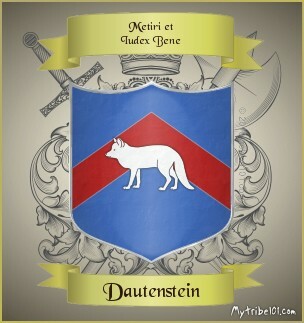 The Grand Dutchy of Dautenstein certainly had many virtues. It was, most everyone would agree, a very tidy and well-run place. It was renowned across Europe for the precision and predictive accuracy of its hand-crafted cuckoo-clocks. 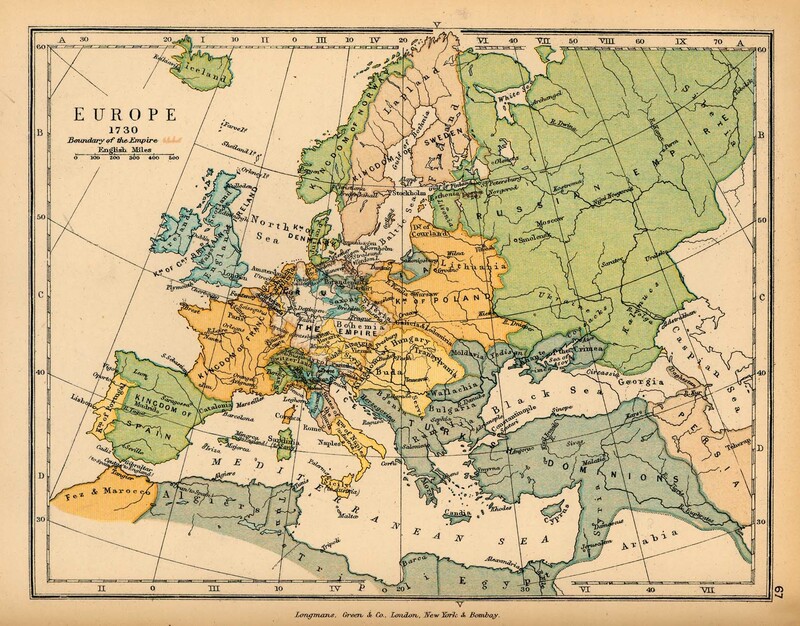 However, Grand Duke Rudolphus had a most avaricious streak in his character, coupled with an unfortunate tendency to expand the lands under his control at the expense of his neighbours. While in theory the Empire guaranteed each principality its noble rights, in practice the Emperor was very far away, rarely sober, and seldom showed much concern for local squabbles. The final straw had come last week, when several rather officious Dautensteinian tax collectors had seized a dozen pigs from the small village Kleinen-Kreuzung for alleged non-payment of taxes. 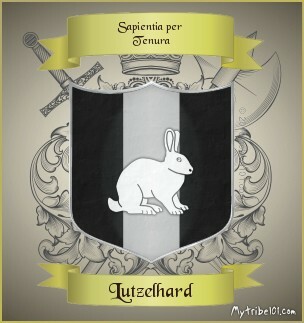 As every school child in Lützelhard knows by heart, Kleinen-Kreuzung is no more part of the Grand Duke’s rightful territories than those pigs could play the harpsichord. 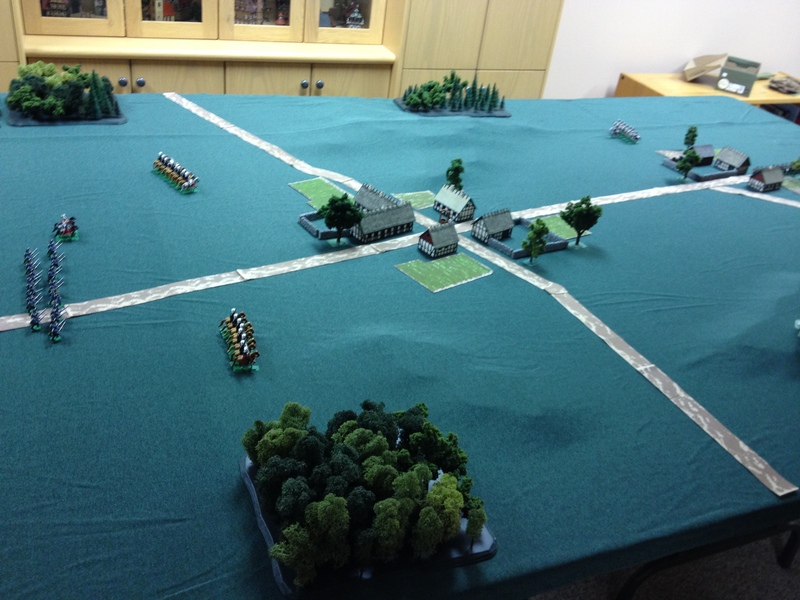 I had been ordered to make this point clear by reoccupying the village—by force, if necessary—and garrisoning it against any further fiscal aggression. It was a little over a two-day march to Kleinen-Kreuzung. As we approached the strategic hamlet, however, my scouts brought me worrisome news. It appeared that a contingent of Dautensteinian troops, under the command of the redoubtable General Alan von Scheunen, were en route to the same destination—perhaps as a prelude to a full-fledged invasion of our homeland. Recognizing that time was of the essence, I sent forward my fastest troops in the vanguard. 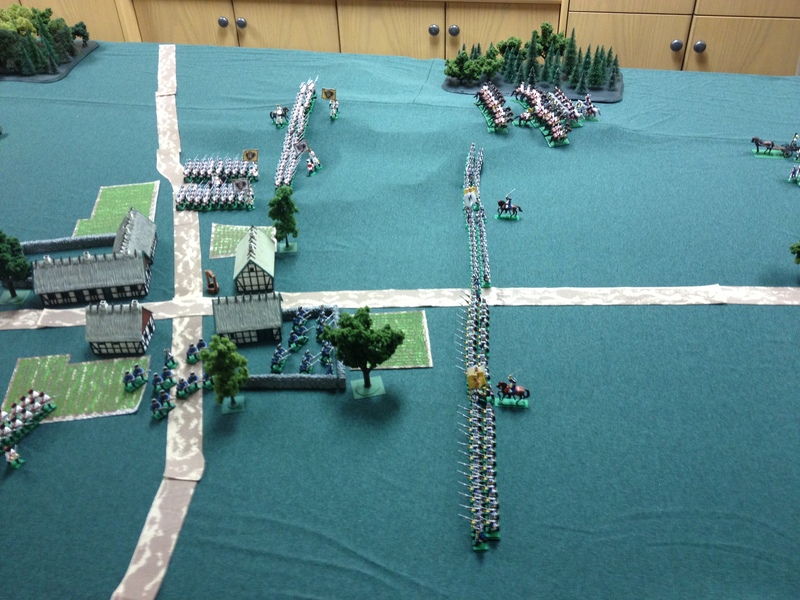 A light battalion of Jägers—volunteers raised from among the hunters and foresters of the Dunklewald—were to occupy and hold the village itself. As they did so, the 1st and 2nd squadrons of Lützelhard Hussars would lend their support on each flank. I myself would lead our advance troops. My hope was that we could delay the enemy long enough for the rest of the army to arrive. Moving in open order, the Jägers closed on their objective. Everywhere the lush green fields, pastures, and forests reminded us that the very fate of our beloved principality might be determined on the battlefield today. The light infantry soon secured the village (where they were fêted by the local peasants), but on our right a regiment of heavy cavalry bore down upon our positions, sabres glinting in the afternoon sun. 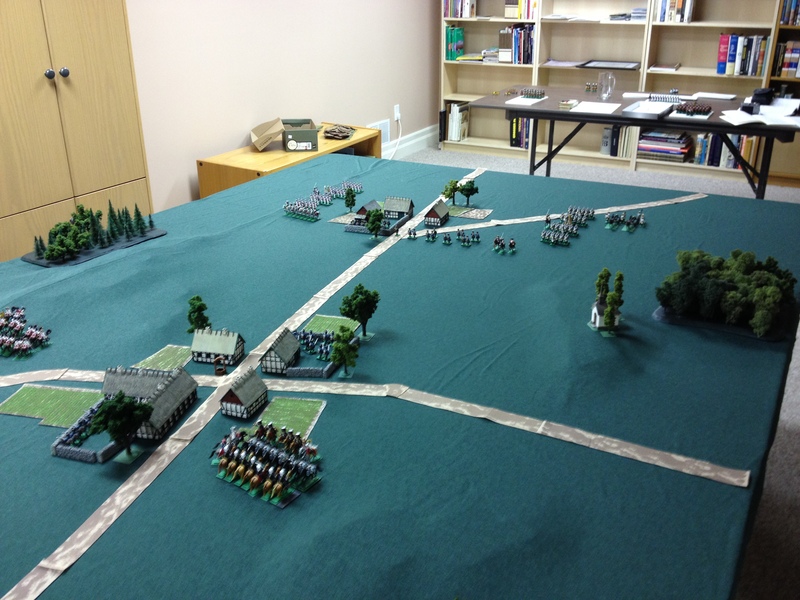 Drawing upon a tactic I had learned as military attaché in an exotic Eastern land, I ordered the 1st squadron of Hussars to retire and lure the enemy forward, while the 2nd squadron moved through the village to fall upon their flank. Soon the trap was sprung. After a hard fight the enemy troops were thrown back westwards, battered and bloody. 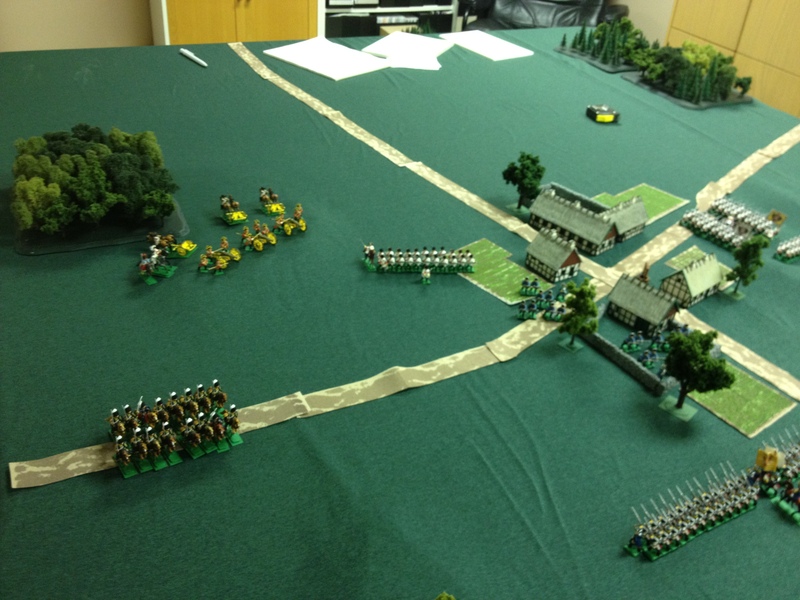 While this was taking place, my own Heavy Dragoons arrived on my left, and were sent to seize the slopes to the south of the village. There the cavalry were to hold, until they could be relieved by the main columns of infantry now beginning to arrive on the battlefield. While many of the “1st and 2nd Infantry Regiments Margrave Maximilian” were drunks, criminals, debtors, mercenaries, shady adventurers, or had joined military service less-than-voluntarily, they were nonetheless generally more fearful of their officers than the enemy. Moreover, they now had the honour of Lützelhard to defend! And not a moment too soon! 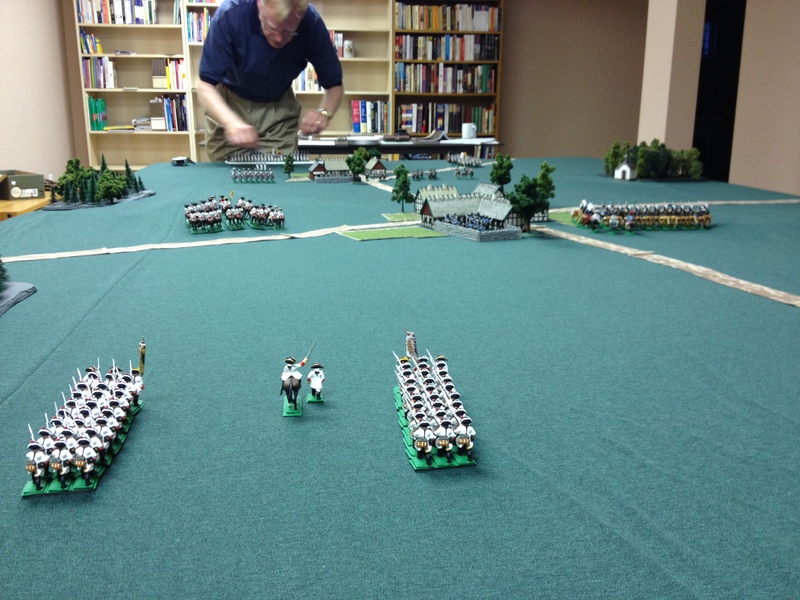 A formidable force of Dautensteinian troops had begun to move towards our position. 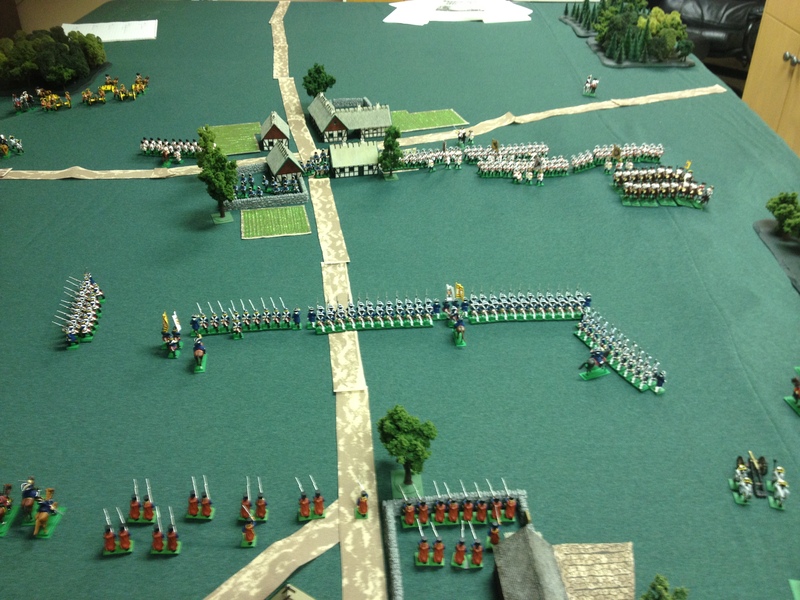 The wily von Scheunen was eager to get his well-trained muskets within range of my men. 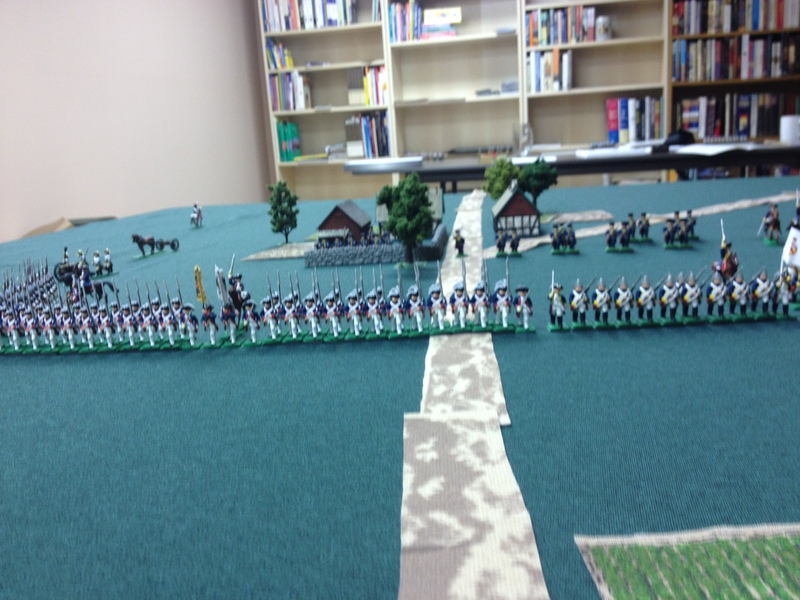 Needless to say, being from the Grand Dutchy the enemy force marched forward with impeccable Teutonic precision, each of the lead regiments advancing in neat columns and then forming up in perfect linear fashion with not even the lowliest Gefreiter out of position. My forces, while perhaps somewhat less polished, more than compensated for any deficiencies of dressing or garmenture with their very great martial enthusiasm. On my right, my Hussars noticed several batteries of enemy artillery preparing to unlimber on a small hillock, near the village church. Seizing the initiative, they charged the enemy gunners, overrunning two batteries and capturing many prisoners. With no time to properly spike the guns, they instead tipped them over and mocked them mercilessly. 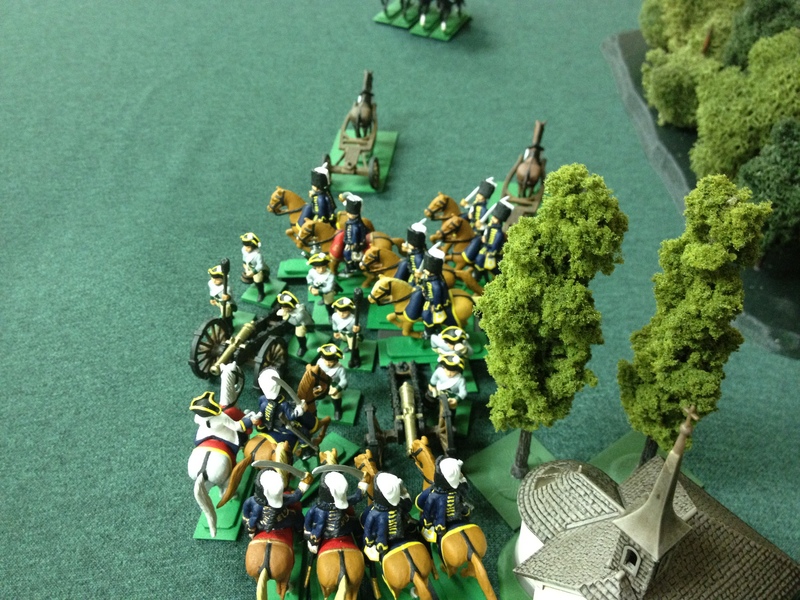 On the left, my Heavy Dragoons charged into an approaching regiment of light lancers, eventually breaking them. One was captured, and sent back under guard to the Margrave for questioning so that we might learn new secrets of cuckoo-clock-making. By this time, two full regiments of enemy infantry were beginning to press upon the few Dunklewald Jäger defending Kleinen-Kreuzung. In their pristine uniforms and exemplary formations, the enemy’s troops looked formidable indeed. 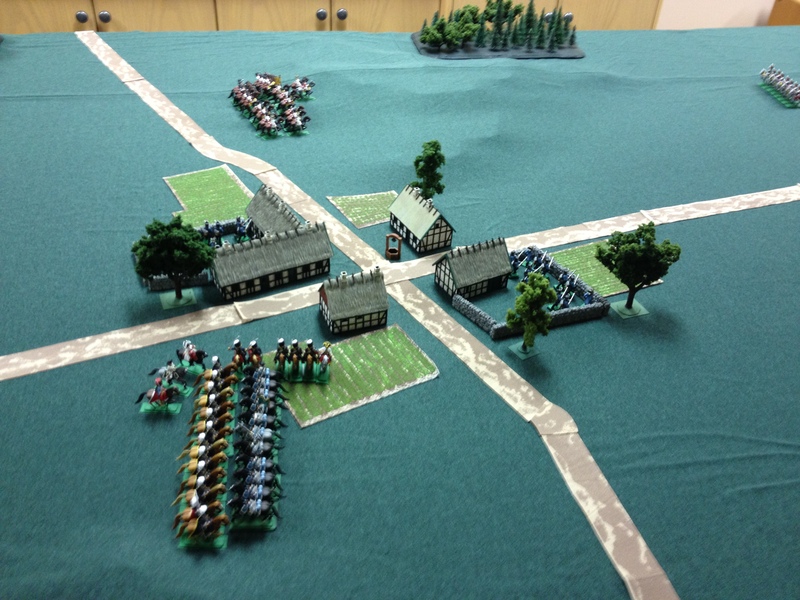 If pressed, the village’s defenders had orders to fall back and skirmish while my main efforts fell upon the flanks of the Dautensteinian army. However, my doughty woodsmen were not easily dismayed. They kept the approaching foe under a lively peppering of rifle fire, taking best advantage of the walls and other cover that the village provided. One by one, the fine uniforms of the invaders were stained red with the bloody cost of their Duke’s aggression against our pigs and people. As the guns thundered, the reserve squadrons of Hussars were sent forward to the right to reinforce the success of their compatriots. The elite Grenadiers d’Urfé—so named after the Margrave’s favourite French half-cousin, twice removed—formed up between the Jägers and the artillery, ready to support either. 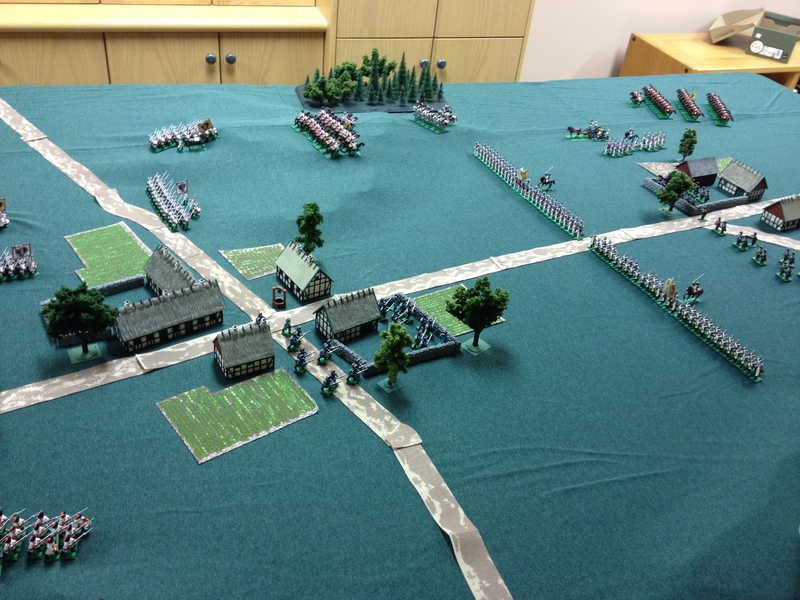 With his forward positions compromised by the breakthrough of my light cavalry and the destruction of his guns, General von Scheunen halted his advance and redeployed some of his troops to protect his flanks. 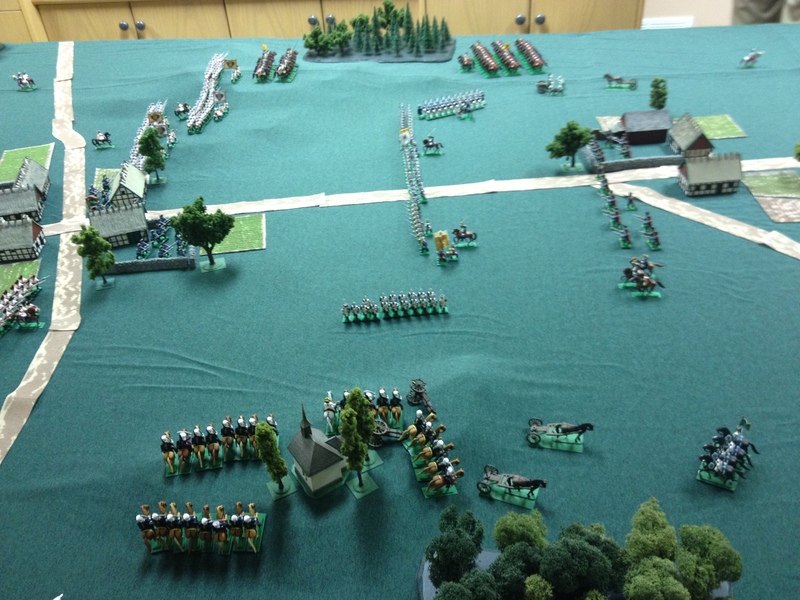 As my worthy opponent surveyed the battlefield, it seemed clear that any attempt to continue his advance would risk envelopment both from my Hussars to the north, and well from the strong force of Lützelhard Heavy Dragoons and two regiments of Musketeers moving on the slopes to the south. Remembering well his youthful study of the Battle of Cannae, von Scheunen ordered that the forces of the Grand Dutchy withdraw while they could still do so with their order and main strength intact. And thus it was that Lützelhard had won this first battle, a victory that would soon be celebrated across the principality. However, I knew too well that wars are rarely decided by skirmishes around a pig-farm. Many more battles might need to be fought, and many more men might die, before this contest would be fully resolved….